A HARARE man has petitioned the Constitutional Court (ConCourt) seeking nullification of Kumbirai Hodzi’s recent appointment as substantive Prosecutor-General (PG) on the basis that he scored badly in public interviews held last year. In his application, Simbarashe Zuze cited President Emmerson Mnangagwa, the Judicial Services Commission (JSC), Chief Justice Luke Malaba, Justice minister Ziyambi Ziyambi and Hodzi as respondents. Through his lawyer advocate Thabani Mpofu, Zuze said Hodzi was not fit to hold the post of the country’s top prosecutor, given that he did not fare well in the interviews and, as such, his appointment must, therefore, be declared null and void. Some of the candidates who participated in last year’s interviews are Calvin Mantsebo, Tinomudaishe Chinyoka, Misheck Hogwe, Jessie Majome, Justice Maphios Cheda, Wendy Rowesai Chingeya, Florence Ziyambi, Edios Edmund Marondedza and Noria Mashumba. Apparently, out of the list, Mantsebo, Chinyoka and Hogwe were the top three respectively. Zuze said it was clear from the public interviews that Hodzi had struggled to answer questions from the interviewing panel. “The interviews were conducted in full public glare and the fact that fifth respondent (Hodzi) had a torrid time is known to all who cared to follow that process,” Zuze said in his founding affidavit. Zuze further said Hodzi even failed to make it to the top six and, as such, ought not to have been considered for the job. 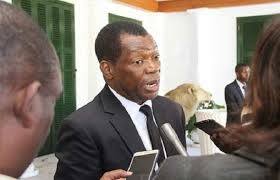 He said in terms of the law, the President was tasked to choose a candidate from the top three interviewees, but if he found compelling reasons on why appointment could not be made on the said three, he would advise the JSC and the public and new interviews would have to be conducted. “Once public interviews have been conducted, every citizen becomes invested with a legitimate expectation in knowing why the President has decided to ignore the results of that process and that expectation is constitutionally protected,” Zuze said.